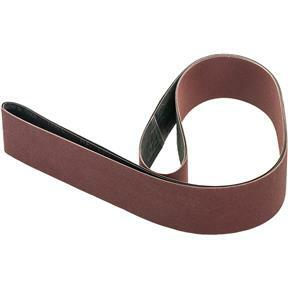 2" x 72" A/O Sanding Belt 150 Grit, 2 pk. Woodstock - 2" x 72" A/O Sanding Belt 150 Grit, 2 pk. So far these belts have been long lasting and work well on my G1015 sander. The splices are a little "lumpy", but I don't know if others are any better. I've been working both wood and metal with the various belts and am quite oleased.